Are you a new member of vaper? Or are you looking for a starter kit for your family? 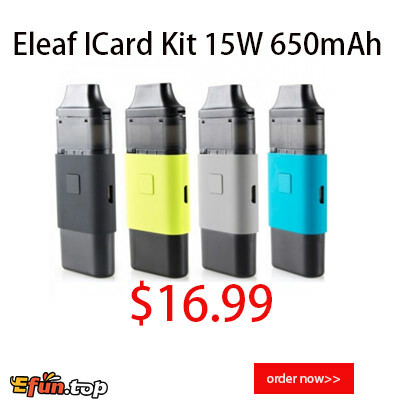 Eleaf ICard Kit is good choice. Why? The Eleaf iCard Kit is powered by built-in 650mAh battery. As a newest start kit which is very simple to use, you just need to fill in the juice and click the fire key, then you can enjoy an amazing vaping experience! The iCard kit contains a 2ml cartridge and all-new ID 1.2ohm coil head. The protective mouth cover on the top provides a clean vape for you! It is really suit for starter vapers as its portable size and easy operation!